An appraisal establishes the value of an item based on current market conditions. It is important to understand that competent appraisers can honestly differ in their evaluations. The price of jewelry is a very important part of an insurance appraisal; however, the detailed, accurate description of the item is most important. Because in case of loss, it is the description the appraiser uses to verify that the quality of the replacement item is comparable to the original. It is most important that the appraisal be conducted by an Independent Appraiser. Quality grading of gemstones, diamonds, and pearls is in accordance with the standards of the Gemological Institute of America (GIA). At any one time a jewelry item can have several values depending on the transaction being considered. This appraisal is needed to properly insure jewelry items against loss or theft. It gives an approximate value to replace a jewelry item with a comparable or identical item, if available. In order to accomplish this, the appraiser will take into consideration the current market price within the geographic area as well as the rarity, quality, condition, and design of the jewelry item. This appraisal is used to establish the fair market value of the jewelry item for an estate. Fair market value is the price a willing buyer and seller would agree to without a forced sale. Certain IRS regulations may apply to estate appraisals. 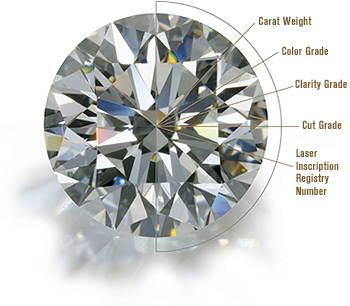 Why do you need your jewelry appraised? We have a short questionnaire you can fill out to help you decide if you need a written appraisal. We have over 61 years of experience working with insurance companies and law enforement agencies.